1. Is the Tricar Dead? 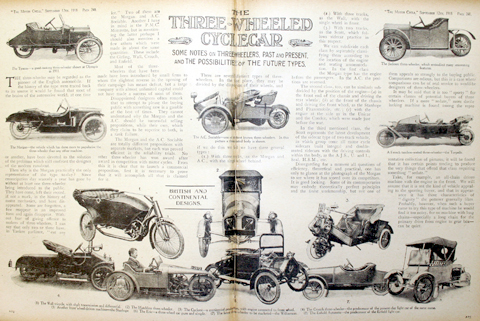 Three-wheeled cyclecars, which were actually the first type of car to be made. 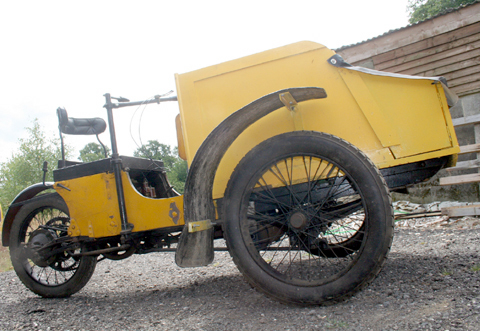 But this historic vehicle design only lasted until the First World War, after which time motorcycle and then (four-wheeled) car design and functionality had started to improve to such an extent that three-wheelers could not compete on either price or reliability. 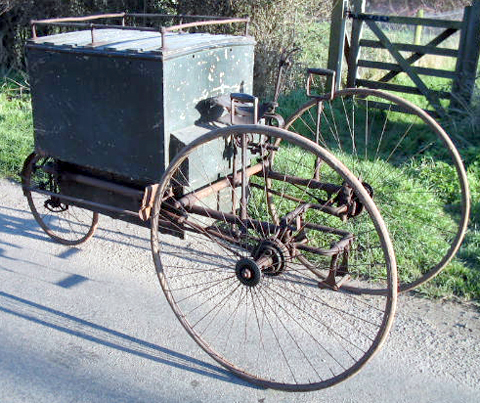 In 1883 John Warrick designed a carrier tricycle for carrying his heavy tools around with him. During his partnership with Pitt of Birmingham to make rifles, he obtained the trademark ‘Monarch’. 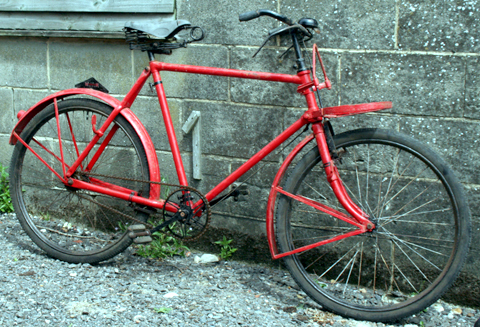 In 1888, the first Cycling Battalion was formed and led by Colonel Saville. 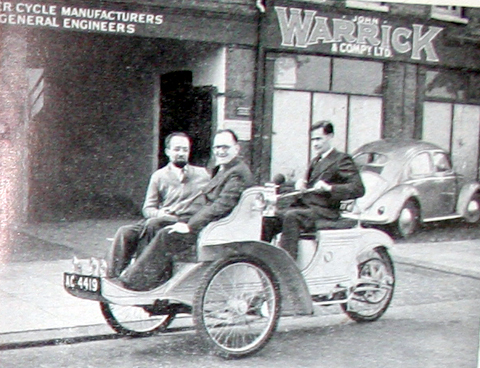 The carrier tricycles were for carrying arms and Warrick won the contract to supply the cycles. Why a Website on John Warrick? It all started when I bought a 1914 Warrick Motor Carrier and wanted to find out more about its history. The more I learned about John Warrick, the more fascinated I became. He was a genius in his day. I am surprised he is not acknowledged as such by the people of Reading. Why isn’t his history taught as part of the local school curriculum? Why is there no statue of him in the centre of the town? As for my Motor Carrier, it’s a ridiculous machine, one of a motoring elite – the first generation of vehicles that was obsolete by the time WW1 ended. 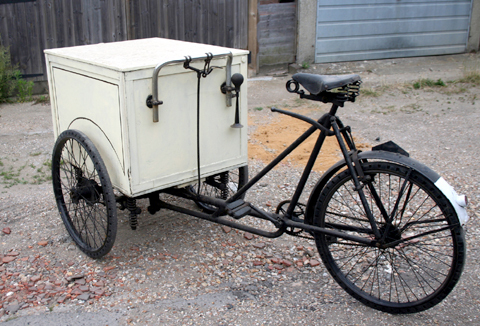 I’m the marque specialist for motorized three-wheeled commercial carriers within the Vintage Motorcycle Club. I have a few such oddities, but don’t know much about them. In my defence it’s a very broad specialization and there’s very little information written about these small manufacturers. Nevertheless, I decided to do something to earn my title. When I realized that none of the clubs knew much about John Warrick & Co I started researching and was rewarded with rather more information than is usual in such circumstances. I even discovered he built a motorcycle. The John Warrick Online Museum is the result. 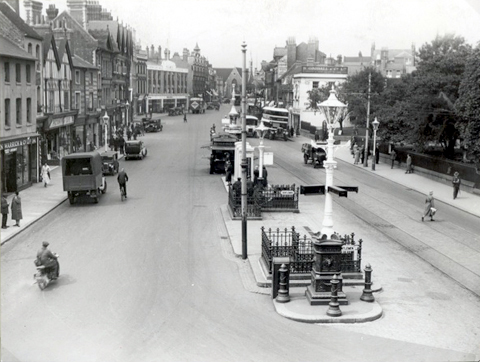 St. Mary’s Butts, Reading, looking northwards from a high vantage point, c. 1930. On the west side: No. 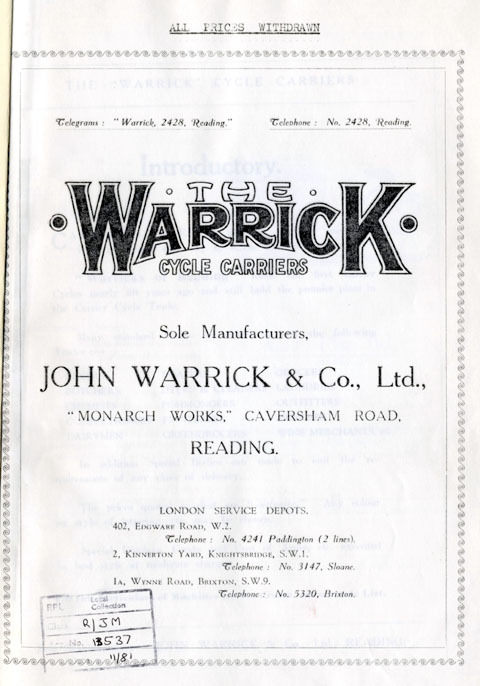 34 (John Warrick and Company, cycle dealers); Nos. 31 and 30 (Picton’s Fish Cafe); No. 29 (L. Vidcosky, tailor); No. 10 appears to be under demolition. On the east side, No. 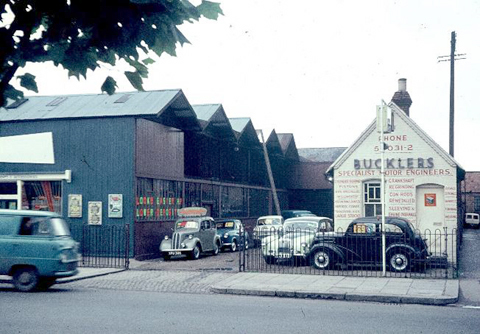 55 (S. Goodall and Company, plumbers and decorators). In the middle of the Butts are the refreshment stall, gas-lamps, telephone-boxes, the entrances to the underground public conveniences, and bollards. There is a variety of motor traffic, including a bus with “Bucklebury Common” on the destination blind. This website (like all of my sites) is a Public Resource. You’re free to copy whatever you like for your own use. If you’re feeling generous, it would be appreciated if you add a link to this website or mention where you found the information. Thanks. If you have anything further you’d like to add to its database, please email me as below (email address within the picture). Thanks to contributors to Reading Forum; also Reading Library; Veteran Car Club; Vintage Motorcycle Club Library; Rod S & Alan B of the Veteran Cycle Club; Gill F of Havant Library; Diane L of West Sussex Records Office; Southbourne Library; Mr. Phillip McDougal of Prinsted; Greg Warrick.